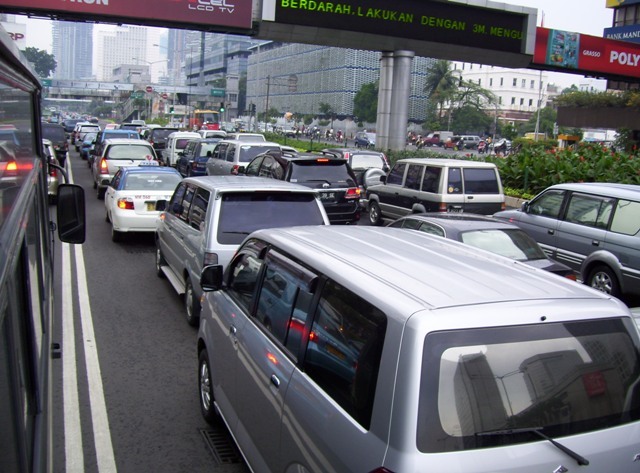 In May 2016, BINUS UNIVERSITY’s BEE-EMBEDDED RESEARCH GROUP in collaboration with Pansolusi Indodata will start developing a “smart parking’’ application that will assist in decongesting Jakarta’s traffic by locating unoccupied indoor and outdoor parking spaces for private transport users. The application utilises the latest Mulititech Long Range Wide Area Network (LoRaWAN) system; the LoRaWAN technology can monitor air pollution levels and earthquake patterns. This latest research project from BINUS UNIVERSITY showcases the university’s forward-thinking approach to develop value-added application-based products that are tailored for the Indonesian market. This collaborative research project is led by Dr. Suryadiputra Liawatimena, as head of the BEE-EMBEDDED RESEARCH GROUP at BINUS UNIVERSITY, along with his undergraduate and postgraduate students. Under their direction, the group aims to make available two versions – basic and advanced – of the application. The basic version will offer users the ability to locate available parking spaces in any indoor or outdoor location from their mobile phone; whereas the advanced version will enable users to reserve an available parking spot by carrying out transactions using e-banking or conventional banking methods as well as providing a digital signage of the car license plate number. This initiative has the potential to assist disabled drivers by enabling them to secure convenient parking spaces such as those that are near to lifts and ramps. Furthermore, a more advanced version of the application is under development in cooperation with Jakarta’s Transportation Department and Jakarta SmartCity. The application aims to provide traffic regulators with the latest traffic information so as to ease congestion when necessary. BINUS UNIVERSITY’s latest project with Pansolusi Indodata demonstrates the university’s standing as a leading provider of IT-based higher education. Through the institute’s research and innovation programmes, the university is encouraging discourse among Indonesian businesses to engage and capitalise on the use of digital technology.